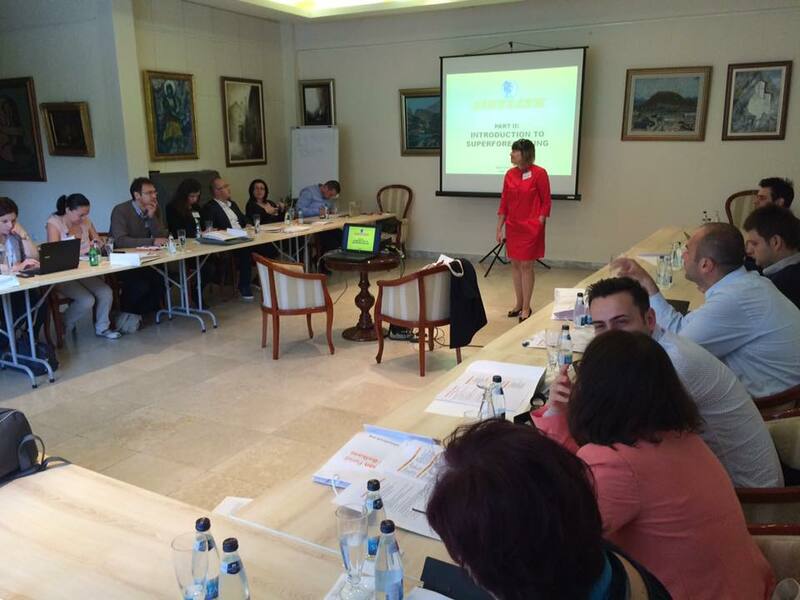 The Joint Strategic Foresight, as a first event of the new program Regional Policy Academy (RPA) which is co-organised by the European Fund for the Balkans and the Belgrade Centre for Political Excellence, was held in Becici, Montenegro on May 14-15, 2016. 23 selected alumni of the EFB and BFPE programs took part in this two-days workshop, that was moderated by Regina Joseph, lecturer at New York University, and until recently a researcher at Clingendael Institute and an internationally recognized expert in the field. The workshop was seen as an introductory first step in a wider training effort to improve predictive accuracy in geopolitical matters. To prepare strategic analysts of the future, organisations must invest now in networked, multi-disciplinary training coupled with forecasting tournaments. Millennial workforce demographics by 2020 require a serious reconsideration of how organisations plan strategic analysis (a clash looms between the digitally native and the digitally immigrant), as does living in the zettabyte era: technology is creating challenges we must meet head-on with regards to information overload and millennial information preparedness. Technology and education, paradoxically, are barriers to achieving an optimal workforce. Empirical data shows traditional expertise, polls and pundits are not accurate. Superforecasting is the only scientifically proven way of improving the predictive accuracy. The participants had the opportunity to learn about this highly complex method of forecasting the future events with the aim of applying this method to the Western Balkans through developing scenarios for future relations among the countries of the region. This scenarios should be an original contribution of the Western Balkans opinion- and decision-makers to the process of reconciliation in the region. The idea behind RPA is to – by applying the method of strategic foresight to complex social issues – contribute to strengthening of connections between leaders of opinion and change in this region and identify and recommend concrete steps towards building societies that are more open, more inclusive, more democratic, less prone to conflict(s) and as such readier for membership and a common European perspective. By engaging the political and civil society leaders from the WB region into a policy dialogue on the basis of the strategic foresight method, a different kind of decision makers who are committed to regional cooperation will be promoted, which will contribute to reconciliation within the WB region. Situational awareness: Why scenarios?, The Basics of Scenario Development, Drivers Development Practicum were the sessions that engaged the participants in a discussion about the nature of uncertainty in decision-making and why situational awareness dictates an understanding of how to think in 360 degrees, the latest innovations in the use of scenarios and futures forecasting & how it may mitigate the effects of global unpredictability, the different methodologies and why the right methodology matters.